Several weeks ago, I bought myself an Android phone - a rather lovely Moto G6. The primary purpose for this purchase was to test the feasibility of having to use Android for everyday needs as an alternative to the unfortunate and seemingly inevitable demise of Window Phone, like my ultra-awesome Lumia 950, which remains the most graceful and elegantly designed mobile operating system, decent privacy included. 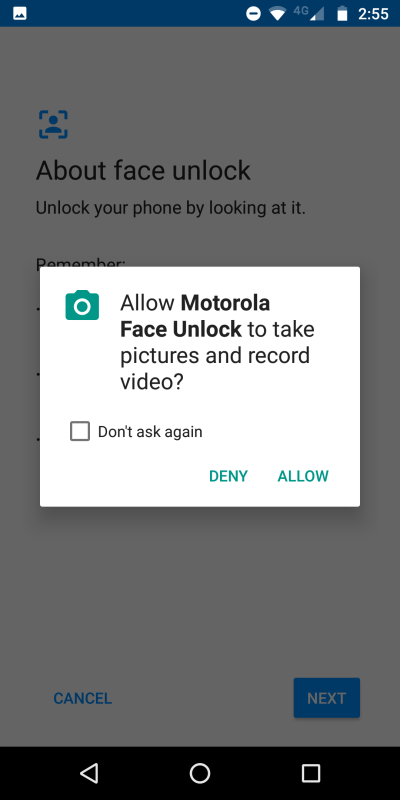 The switch to Android also comes with a lot of questions around privacy. While I'm not too bothered by the whole big brother nonsense, I do understand the focus around this topic. Almost daily, there's an article telling of this or that privacy breach, or how user data gets shared without consent, or similar. 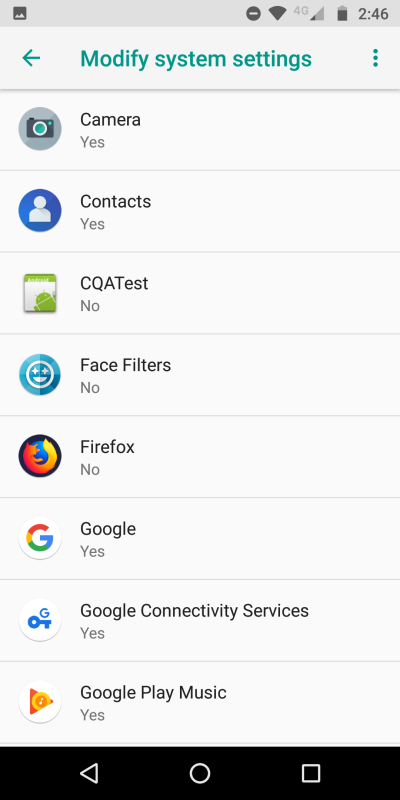 So I wanted to take this opportunity and share my approach to a privacy-oriented Android setup, without compromising too much on usability or going over the top. A sensible middle-of-the-road thing. Follow me. Now, I'd like to clarify a few things. First, if you don't trust a product, don't use it. Second, I'm not trying to give you some super-paranoid solution to being anonymous on the net and whatnot. This is not about using four VPNs all at once and weird, obscure services to make yourself invisible. Third, my tweaks and configurations are done on a stock, unrooted phone. Fourth, it's about personal needs. This is also why I'm not going to tell you what you need to do - because you may have different usage patterns than myself. I will show you what I've done, and then you can decide whether you want to try the same thing, knowing that there are both benefits and downsides to my methods. Finally, don't take this personally. Publicly-traded companies are all about improving their bottom line and pleasing shareholders. So they will naturally do everything they can to further that cause. You don't count as an individual, even though your data can be useful. That's the name of the game. There's nothing inherently special or conspiratorial in this. Now, let's roll. I am going to show you a linear flow of how I went about configuring and tweaking the phone. The first step in this process was the account setup on the phone. 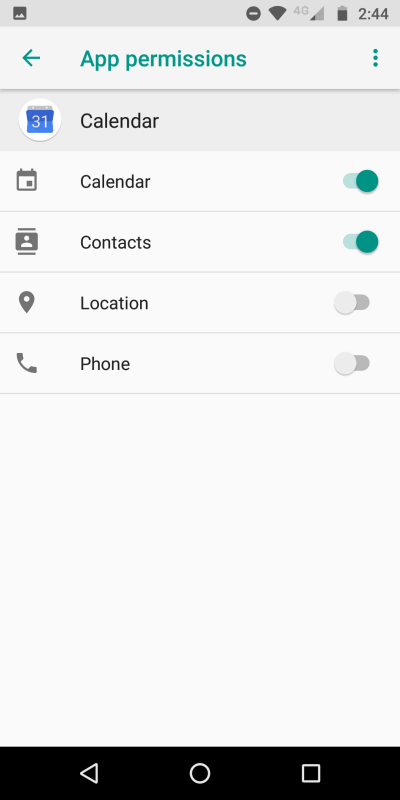 You can either create a new account or use an existing one, in which case, your data will be imported, including contacts, settings, photos, and alike. 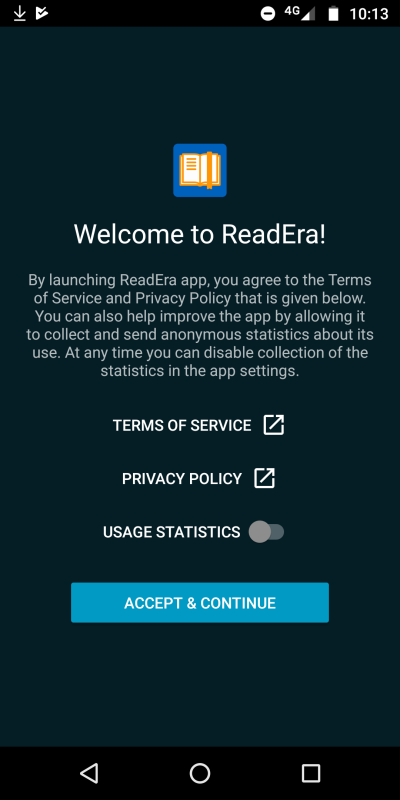 I decided to create a brand new account, fully aware that I wouldn't have any of the data available. While this can be cumbersome, it also lets me control how I'd like to configure and use the phone. You can still add contacts and details later on, but this can be a granular activity, rather than importing an entire account over. 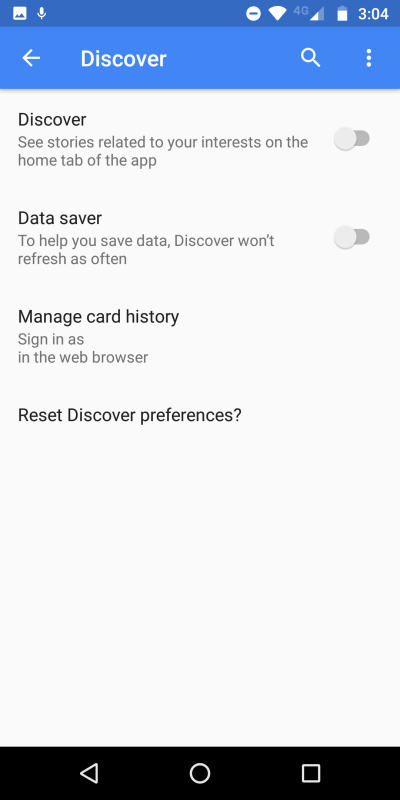 In a new account configuration wizard, you will be asked several questions - even if you hurry through the setup or select a wrong option, you will have the ability to change these later on in the working Android setup. Namely, these include the Web & App history, Location history, Advertising ID, and personalized ads. I will touch upon these a bit later, including screenshots. Anyway, I selected all these to off/disabled. This is a tedious task. 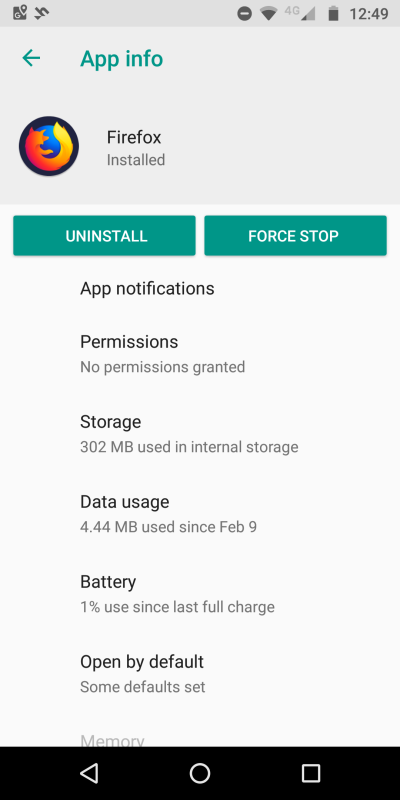 For every single installed application, you need to check what they are allowed to do, most notably permissions and background data usage. This includes your standard applications as well as special applications. 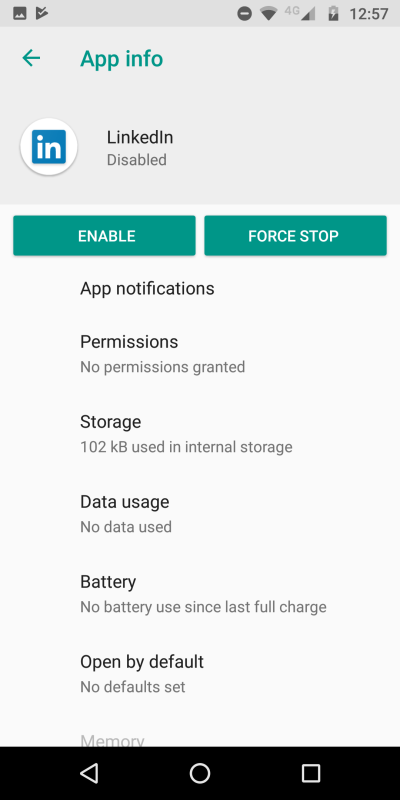 Permissions - Remove permissions unless they are absolutely required. The one thing you cannot tweak is network connectivity, which would really help. For this, you (or rather I) would need a firewall application, but that's a something to discuss later. 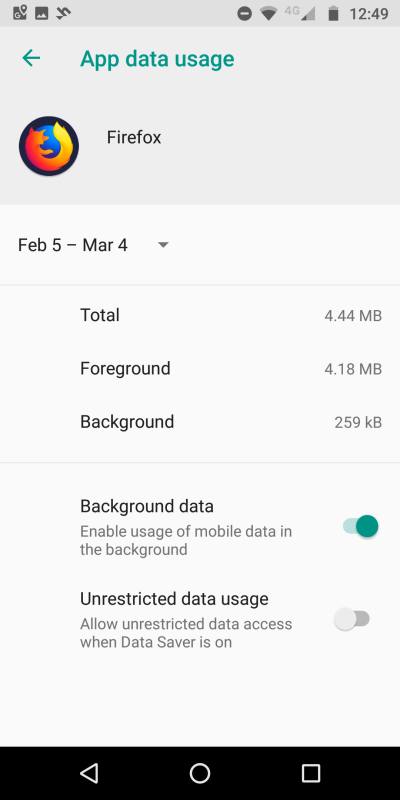 Data usage - Restrict background usage and unlimited usage. I did leave background data on for a small number of applications (like Maps), so they can continue working and updating the routes. But most programs don't really need background data. Think desktop. Do software need to be able to connect when you're not using them? Not really. 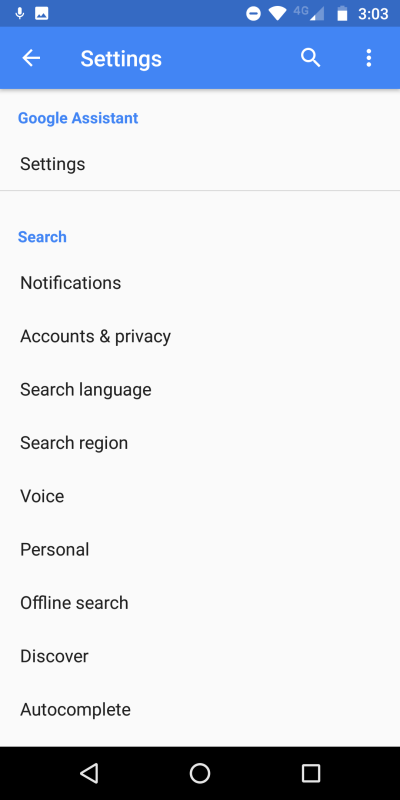 I checked the permissions category next. 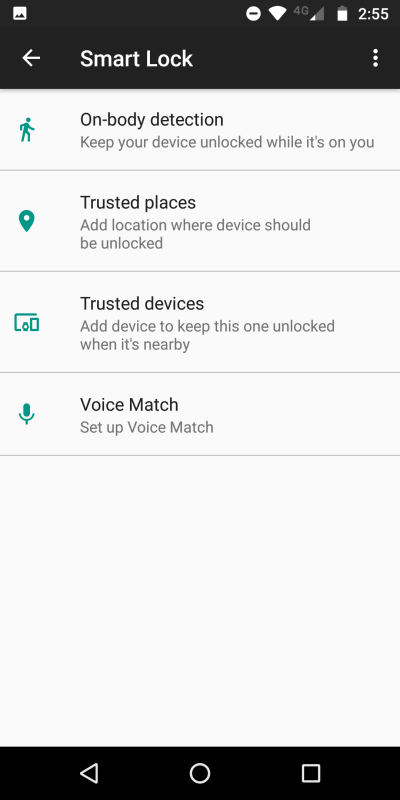 This sub-menu lets you change permissions access for body sensors, camera, contacts, location, microphone, phone, and more. 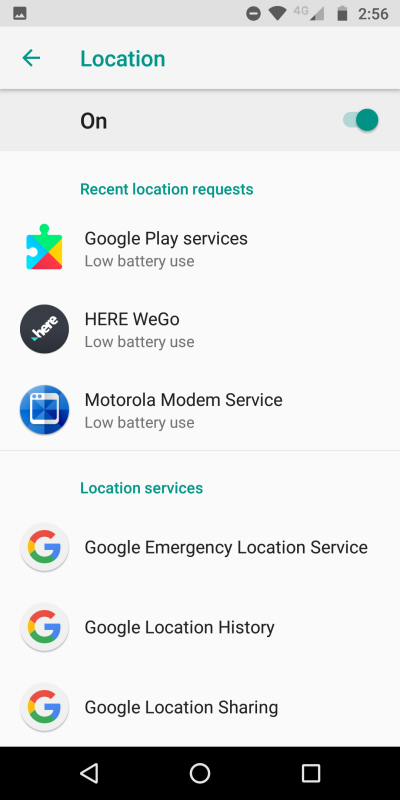 I disabled pretty much everything except the bare minimum of what I believe is essential for the app functionality, like location for Maps and Here WeGo, contacts for the phone app, and such. 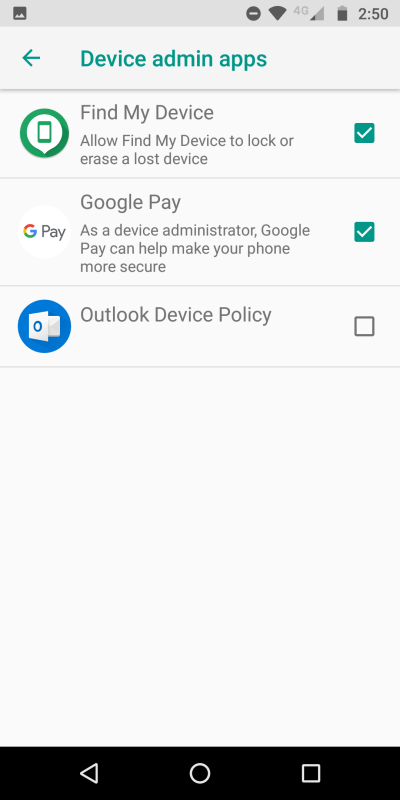 Device admin apps - I left Find My Device and Google Pay, but disabled Outlook. 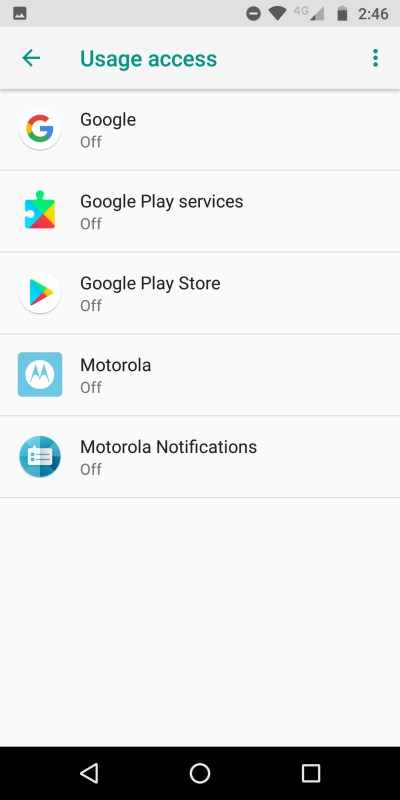 Modify system settings - I only left Google and Moto core services. 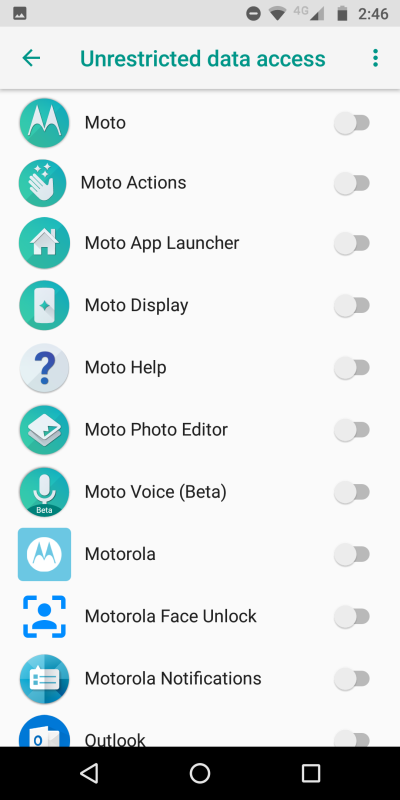 If I need a functionality that is not allowed, I will manually change it rather than allow every app to change system settings as it may please. 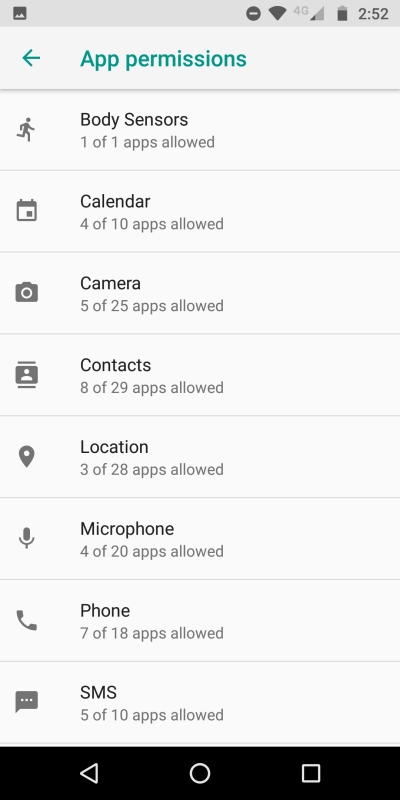 Unrestricted data access - I only left Google Play and one or two other core services. Usage access - I disabled all, because there's really no reason for any service to know my usage. I know my usage, and that's sufficient. Moreover, this does not impede with any functionality, like your total app usage time, battery, data, or similar. Then, there are some less critical entries, like Display over other apps and Picture in Picture. In general, I see no reason for these to be granted any special permissions and options. 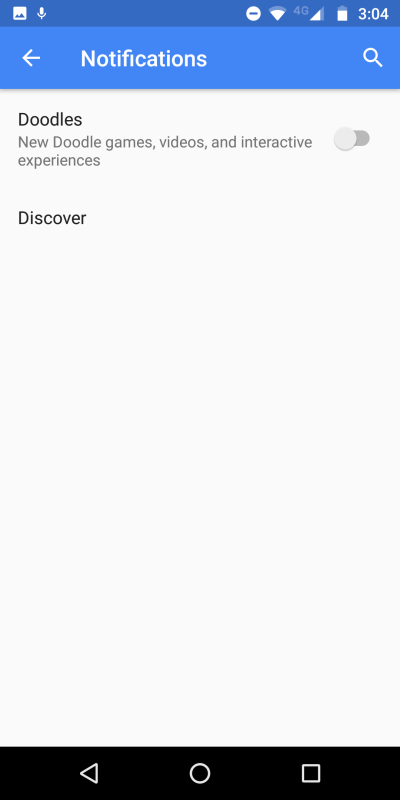 I changed the defaults to only allow Android Accessibility Suite to be able to display over other apps. That's it. 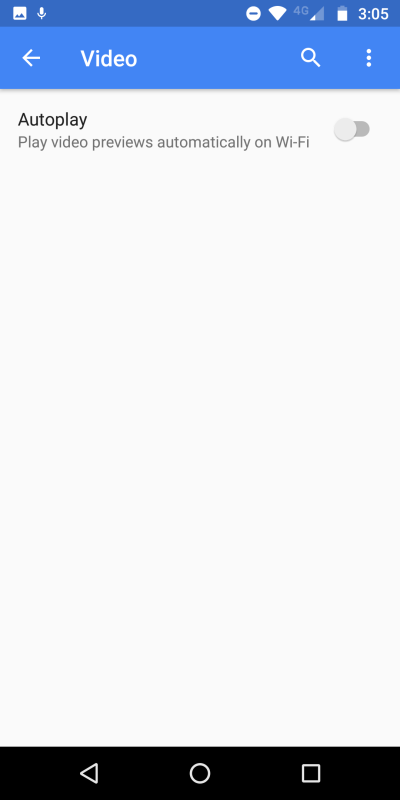 For instance, Youtube - no, I don't really need this, and if I ever do, I can make the change right then. If you click the three-dot menu, you can also display system applications and services. 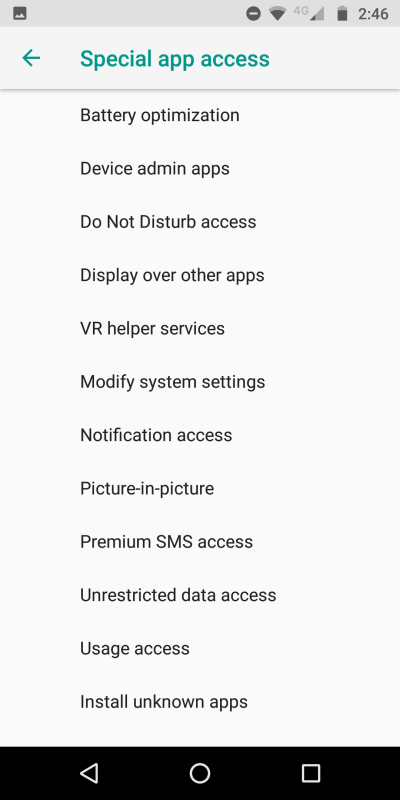 This is a list of applications that Google (and possibly your hardware vendor) believes are essential for the functioning of your device. But you still have the ability to change their settings too. But this is much like disabling services on a desktop. You could make some things stop working. I didn't make any changes here. The next step in my setup was to configure the Connected devices part. I believe sensors should not be activated unless you're using them. This can also conserve the battery. 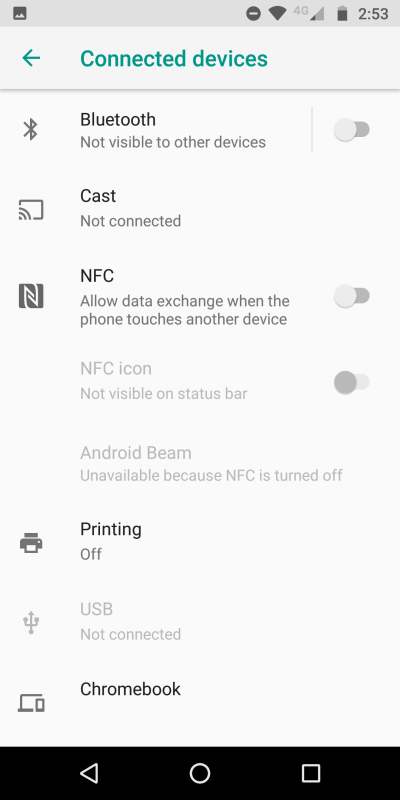 I decided to turn off Bluetooth and NFC, which also disables Google Pay. I also turned printing off. After that, I went into the Security & location section of the settings menu. 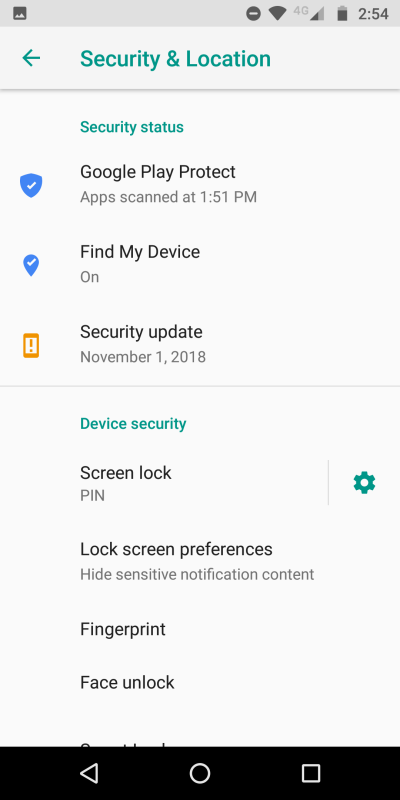 I turned sensitive info off on the notification screen, and chose PIN to secure the phone rather than any biometric method. The PIN is more secure, as it is less prone to false positives, and it also has no intrinsic personal data associated with it. To that end, I chose not to use either fingerprint nor face unlock nor smart lock. I don't really see why anyone is so lazy they cannot unlock their phone with four or six or whatever digits and need a whole setup of sensors for this. 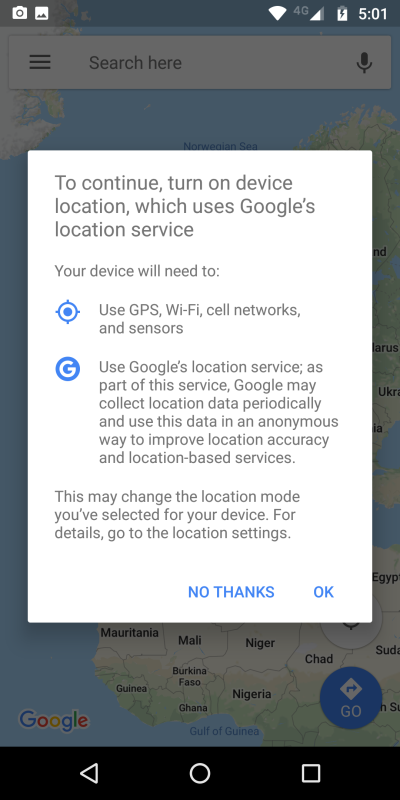 Location has another dimension to what we discussed earlier (app settings). 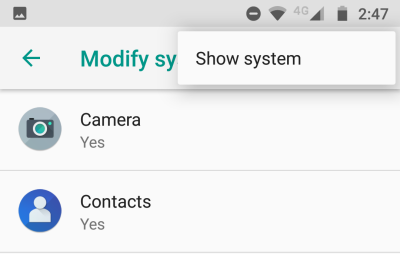 Moreover, Android settings are sort of cyclic, so there's more than one way of finding the same option. That can be a little confusing, but in the end, you do converge on a definite set. I turned location history and sharing off. 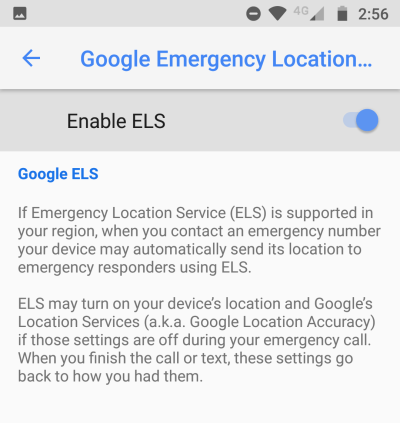 You have the option to allow Google Emergency Location Service, which is what it implies. Best left on. The text descriptions can be alarming, but you can safety turn most options off. You will be periodically nudged to turn various options on (like location history when you use navigation), so keep that in mind. I went through every single category and made adequate selections, based on my needs, which again, will be different from your needs. So bear in mind that what I'm listing below will not necessarily work for you. For me, privacy coincides with the need for a quiet, peaceful usage without annoying ads, reminders or nudges, but as it happens, those two go hand in hand. First click on Google Account (Info, security & personalization). 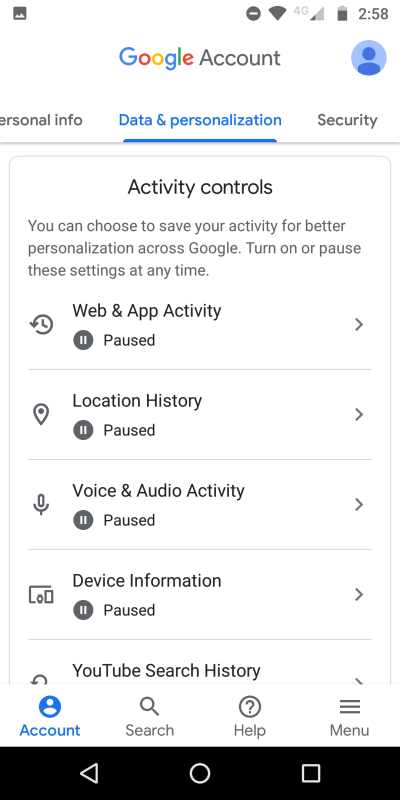 This will take you into your account control panel, which has all the different settings, including the ability to configure 2FA, but privacy wise, it allows you to pause or unpause different services. I paused Web & App Activity, Location History, Voice & Audio Activity, Device Information, and Youtube Search History. I don't really need any of these. 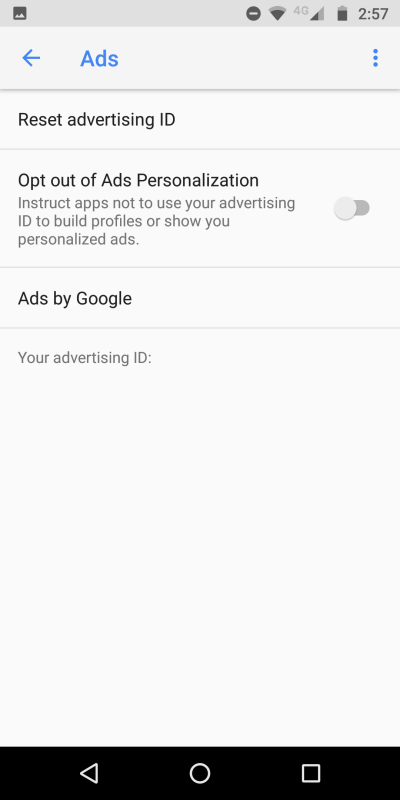 I opted out of personal ads - I also intend to reset my advertising ID once a month or so. 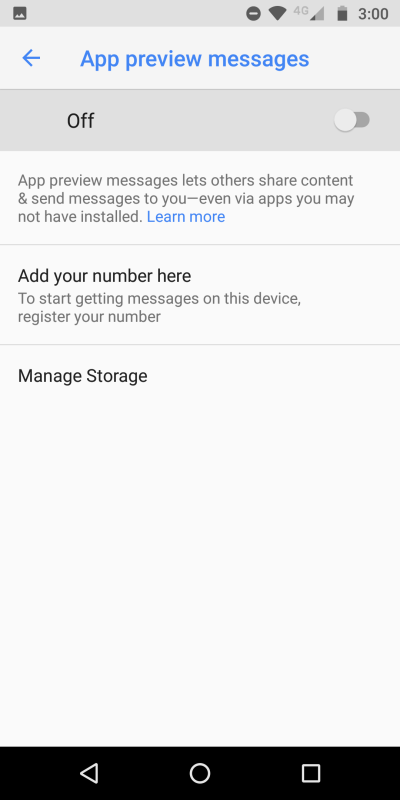 I disabled app preview messages - I don't need others to share content with me, especially since this also requires providing your phone number. Android Auto, Cast media controls, Chromebook, and Google Fit were not really applicable in my setup, as I'm not using any of these. 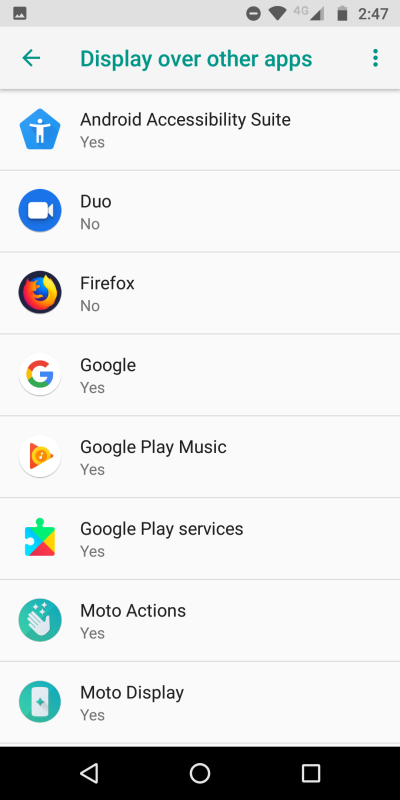 Connected apps only lists the current device. 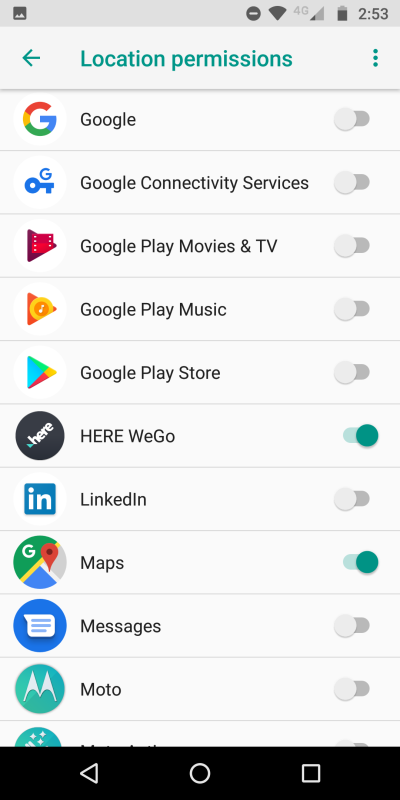 Google Pay - I decided not to use (plus NFC is turned off). 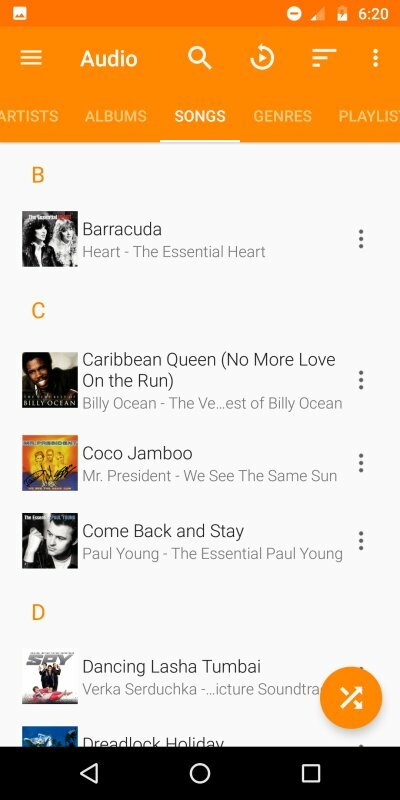 Google Play Instant - turned off. Work profile - I chose not to use. Smart Lock for Passwords is another interesting one - it's different from smart lock for your device. 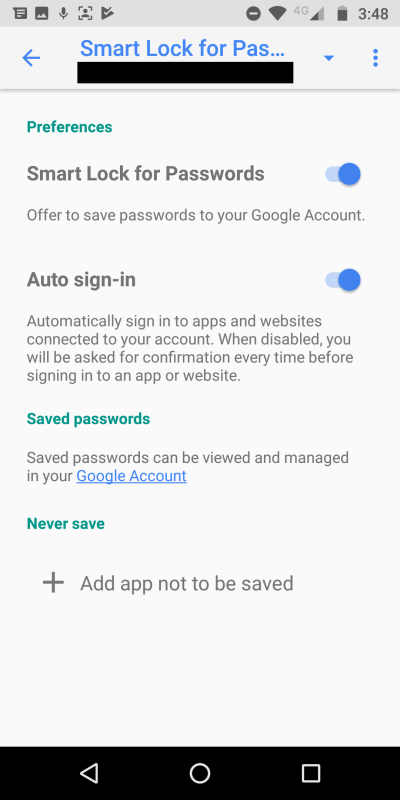 Here, you have the option to auto-sign into apps and websites as well as save passwords in your account. If you disable the password save, the auto-sign in option will also be grayed out - but it will remain active on whatever setting you were using (enabled or disabled). You will merely not be able to change the setting but it will work. I decided to not save passwords but use auto sign-in. This is a whole category unto its own. It covers a whole range of services that are provided as part of your operating system. Normally, Google uses them to provide you with refined AI results to your activities, but in turn, it does need your data to actually be able to do some of the necessary computations. If you need these, then use them. I see no value in AI assistants, and have never found them useful, on any of the three mobile platforms (Android, iOS, Windows Phone). I've also always turned these off, including Windows 10, for instance. Most of the settings have some privacy implications. In general, I decided to turn off pretty much everything, as there's really no reason for any of that. Again, you should carefully examine what you require based on your specific needs. I also decided to change the default set of applications. I chose VLC for music and installed Firefox as my default browser, mainly because it allows you to install an ad blocker. This is useful in many ways. One, it actually reduces the amount of noise and filth you're exposed to while browsing. Two, it can also somewhat help on the security side of things, as third-party elements are not loaded. 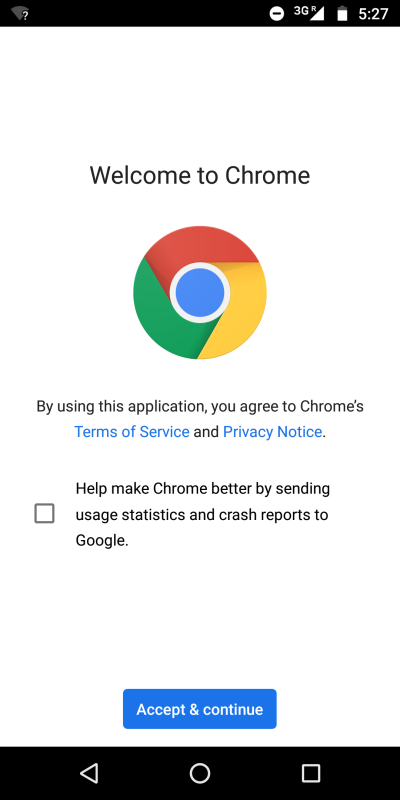 Three, the pages are cleaner and quieter, which means less CPU and data needed to load them, which can help conserve your battery, and offset any possible performance penalty in using a non-default browser. Fourth, you can browse the Web without being signed into your Google account. I didn't go overboard with any security or privacy applications. I was never fond of security software, and there's no reason to do that on the phone. VPN software is useful in protecting your network traffic from outsiders, not for hiding your activity from your operating system. There might be some merit in using a firewall to block trackers or undesired data leaks to third-party companies, which could happen even if you do have everything tweaked for privacy. But that's something I will explore separately. In essence, mobile apps are glorified standalone Web pages, encapsulated in a nice UI. In 99% of cases, you can do exactly the same kind of things you'd do in an app by opening your browser and using the mobile version of the relevant site. This is my preferred way of doing things. 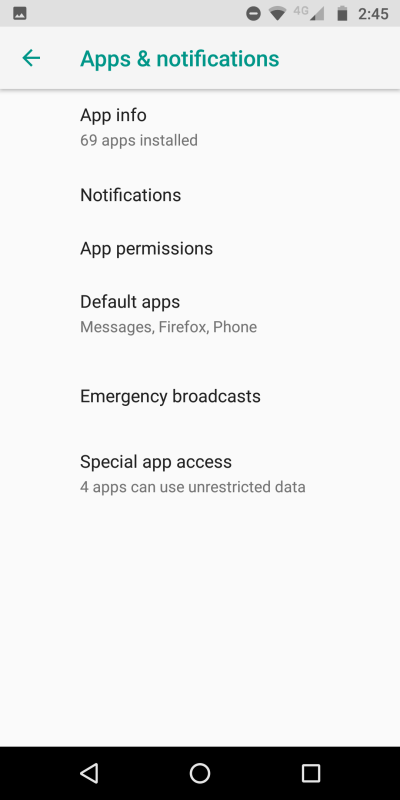 I do use some apps for specific purposes, but I do try not to provide any personal information, opt out of any unnecessary data sharing, and disable background data. When this is not possible, I will uninstall the app and look for other solutions. I also have no social accounts associated with the device, because I don't use social media. 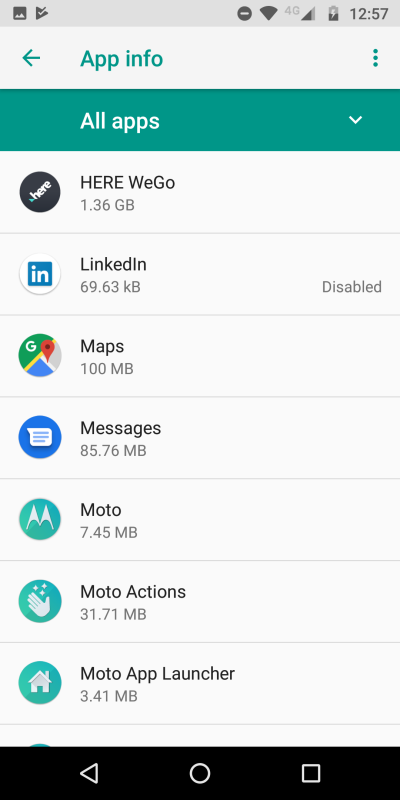 To that end, I tried to remove the default Linkedin app, but as it turns out, it cannot be uninstalled only disabled on Moto G6. This is a bad thing, and it's the only setting I wasn't able to change to my liking. 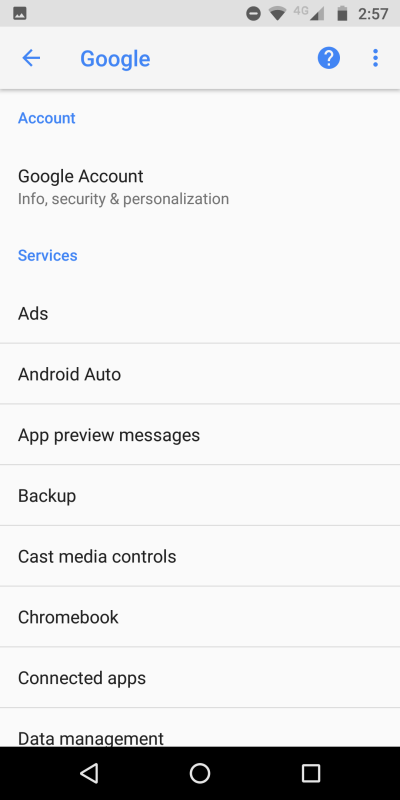 In addition to everything we've done earlier, you also need to check the specific settings for every app you have, once you launch them. 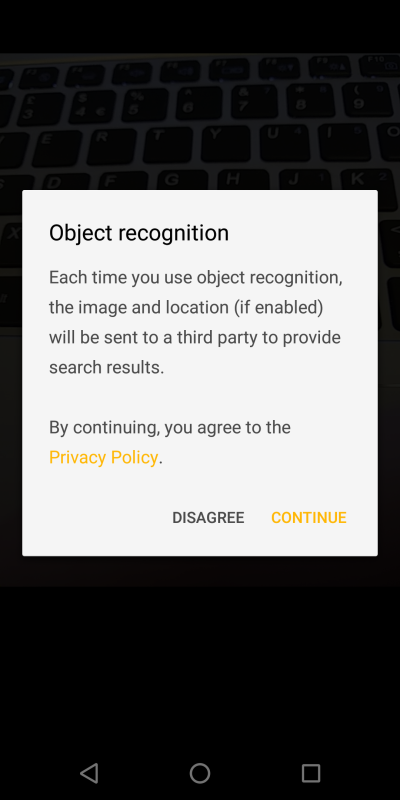 For example, the camera app will ask whether it can identify objects. 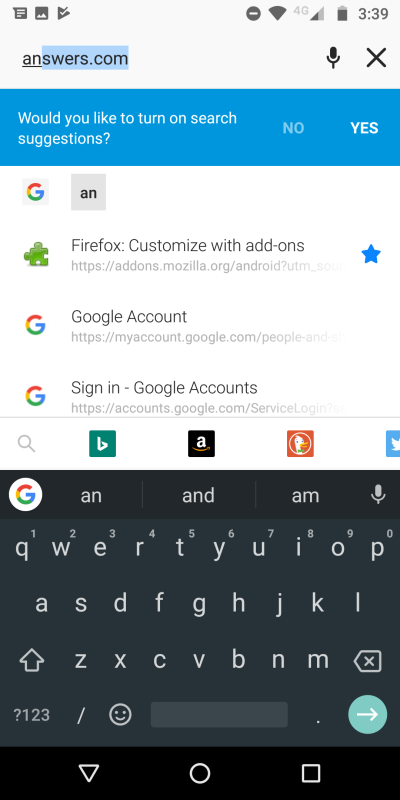 Firefox can use suggestions and send usage statistics. The Photo app can save hi-res images in the cloud, on your drive. And so forth, for every single app out there. Yes. Despite the warning messages that I'd lose functionality, I have yet to encounter a single use case where this is true. Everything works fine. 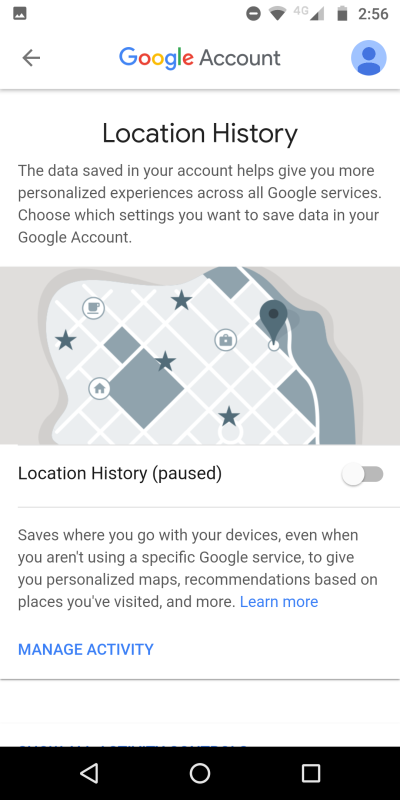 I was also able to navigate abroad, use storage, approve an odd prompt from an app or two for this or that access, and all that without any ill effects. You do need to keep constant vigil and re-visit the settings now and then, to see whether some of the configurations may have been "accidentally" changed. I've noticed this did happen while I was playing with Moto G6, so I guess my Windows 10 & Risitas video applies here, too. This is the sad reality of what we allowed the Internet and operating systems to become, where users have only limited control of their devices. You also need to be mindful of nudges and constant reminders. 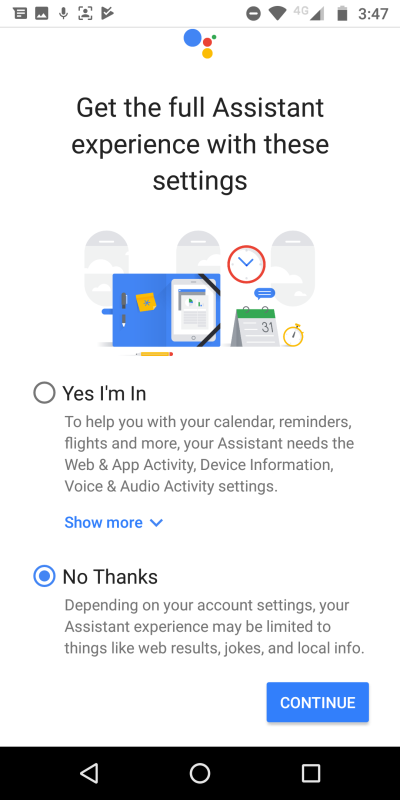 Please note that this is separate from the annoying suggestions you may get occasionally, whereby the device manufacturer or Google try to encourage you to try different services. 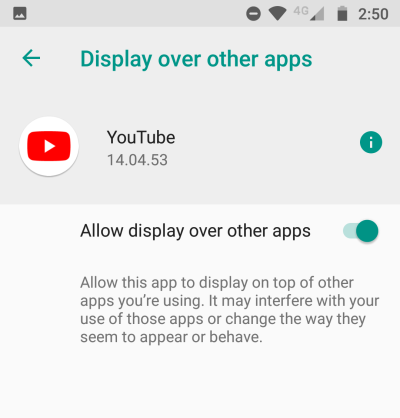 On their own, those notifications and prompts don't have direct privacy implications - those will come to bear if you do decide to use some of these services. Lastly, the UI layout of different menus and sub-menus can change. 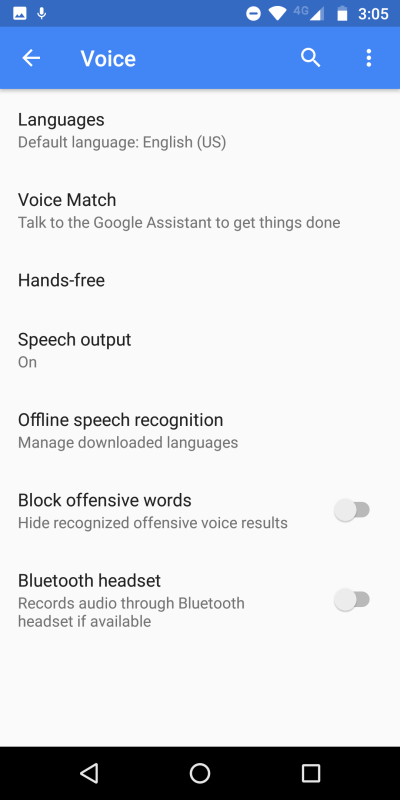 After one of the updates, I noticed the access to AI settings is no longer done through the settings as before, but rather through you account settings. It's still all there, just differently organized. So you may be reading this tutorial in a few months, and some of the options will not be relevant. The thing is, they are, but the location in the system menus may have moved, so you will need to do a bit of digging. That was exhausting. Both doing the system changes and then writing this article. I really had to make sure I haven't forgotten anything in the dazzling, dizzying array of options and settings, menus and sub-menus of privacy-related configurations. Android is designed to be flexible, and it does show, and you do really have the capability to minimize your footprint, although the ideal solution to stay off the Web is to not to use a smart device in the first place. That's a rather difficult choice in this modern world. If you step back and think about it, it's absolutely disheartening that a typical smartphone experience includes four hours of de-tuning the device, a dozen prompts over a period of a week asking you to buy into this shiny new ecosystem of data harvesting, seven different privacy policies, and hundreds of other little things you must be mindful of, which you can't if you don't possess sufficient technical knowledge. And then, there's stuff you don't even know or control. This is the price we all collectively pay for having quick 'n' instant gratification everywhere we go. 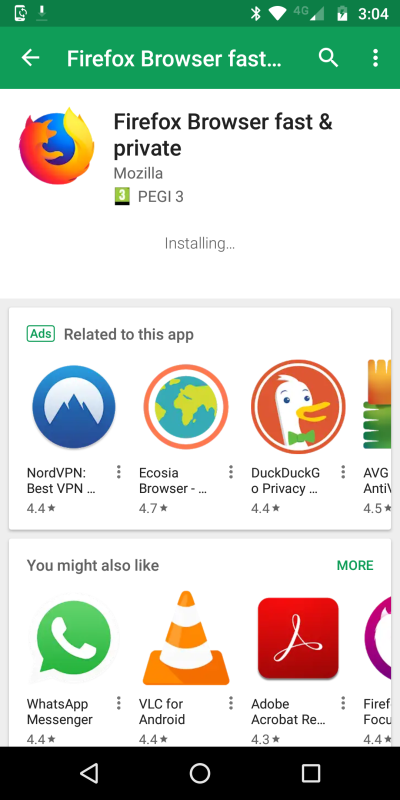 Philosophy aside, as I'd gladly reset the last decade of "progress" - this guide should help you have a somewhat saner, more privacy-designed setup, even if you do decide to use Android. The options are there, and you do need to invest energy, but in the end, you can achieve the desired results. If you have any other suggestions, please email them over, and I will add them here, or perhaps even spin a sequel to this tutorial. Take care, and may the Web be with you. Or perhaps, not.